TAKE ACTION NOW! 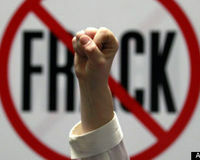 President Obama and Congress: Stop Fracking Now! Signed # 33 & Noted & Thanks for posting Cal. Constance, You signed on July 15, 2013. Michael, You signed on July 15, 2013. Couldn't sign fast enough. Saw a news article on the fracking in California wanted to hurl! TU S&N! Signed #129. Noted. Thanks, Cal. Signed and noted and commented - How much fresh water do we have to waste on this? There is no way to clean this dirty water and if it gets out it will polute land and our finite fresh water. Victoria, You signed on July 16, 2013. Fran, You signed on July 16, 2013. Olivia, You signed on July 25, 2013.